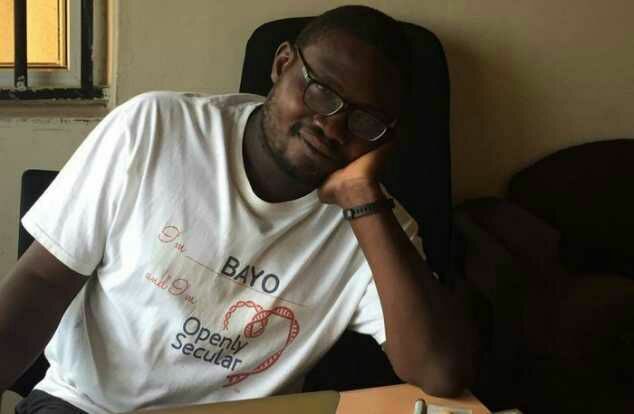 Bayo Opadeyi's journey to atheism, life after God, and his vision for the Nigerian society. Bayo walks down the staircase, fiddling with his iPhone as he tries to open the padlock. At the door, he appears distracted, but quickly collects himself as he opens the burglar door with a smile on his face. He excuses himself as he wanders through his three-bedroom apartment to put on a pair of flip flops and quickly returns to sit on the sofa. Now composed, he is ready to talk about his journey to atheism. Opadeyi, 41 is a Nigerian atheist, a rarity in the ultra-religious country. According to Gallup, irreligion in Nigeria is measured at two percent of the population. The Nigerian population is estimated at 182.2 million people, according to the latest census figures. Of this figure, 48.3% of the Nigerian population are Christians, 48.9% are Muslims, while the remaining 2.8% are either adherents of other religions, or unaffiliated, according to the Pew Research Centre’s 2012 report on religion and public life in Nigeria. In his childhood he was surrounded by cooks, gardeners and drivers, he grew up wanting for nothing. He says, “I had an obsessive interest in chess as a child. I also loved knowing about how the world works as a child.” With the rising rate of poverty in Nigeria, and over 61% of Nigerians living on $1 a day, according to the National Bureau of Statistics report in 2010, most Nigerians turn to religion to offer solace. According to BBC.com,an increasing number of Nigeria’s 70 million Christians are followers of the prosperity teachings – the belief that prosperity is a sign of spiritual blessing. In his quest to get a better understanding of the world, he set out on a religious path in his teenage years and he had to take many detours. “I decided to read the bible from Genesis to Revelations and I was shocked by what I saw. The story of when Saul was asked to kill the Amalekites shocked me. I had to ask my elders why God ordered the killing of women and children. The answers were unsatisfactory.” This led him to worship in several Pentecostal churches and unconvinced by what he saw, he decided to read up on the history of the Church and other religions. “It was in 2011 I used the word Atheist and didn’t look back.” Bayo said. His Catholic wife, once opposed to his atheism has had to come to terms with it. “In the initial stages of our marriage, my atheism caused some friction but she now understands that I came to my atheism out of a search for truth. She has now resigned herself toit.” He said as he smiled to himself. His wife declined to comment on his atheism when approached about it. Does he love being an atheist? As he says, “I love that I don’t give tithes and offerings to make pastors richer, I have met lots of interesting people who question generally accepted beliefs. I have accepted death and I am now interested in leaving the world a little bit better for our children.”Bayo is concerned about the sway religion has over the Nigerian masses. In 2003 imams in northern Nigeria advised their followers not to have their children vaccinated with oral polio vaccine, perceived to be a plot by Westerners to decrease Muslim fertility, as reported by nbc news. Oge Igboegbunam is a freelance writer currently living in Lagos, Nigeria.